The paper they wrote was before the enactment of the amendments assented to in 2016. Quite a number of the conclusions they arrived at have therefore been overtaken by events. As ULP we still intend to borrow heavily from their paper and adopt a number of their suggestions due to the changed circumstances with what was prevailing at the time they wrote their paper. 2. Zambia has had several constitutions: the 1964 Independence Constitution, the 1973 Constitution and 1991 constitution. There have also been several major constitutional amendments in particular the 1969 and 1996 amendments. In addition, there have been a number of constitution review commissions including: the Chona Commission in 1972; the Mvunga Commission 1991; the Mwanakatwe Commission 1991; and the Mungomba Commission of 2003. The other major Constitutional amendments since then are the Constitution Ammendment Acts No. 1 and 2 Of 2016. 3. Following the Mugomba Commission, the Mwanawasa Government held the 2008 – 2010 Constitution Review Conference. The Mungomba Commission was a result of civil society organizations demands for a comprehensive review of the 1996 constitution. President Mwanawasa appointed the Commission in 2003. The Mungomba commission prepared a draft constitution and recommended that the constitution be adopted by a constituent Assembly. The Mwanawasa government was opposed to the constituent assembly idea and sought to ensure that this did not happen. This was largely because the Mwanawasa government sought to control the constitution process to ensure that the outcome was to its liking. 4. In 2007 following a meeting of all political parties represented in Parliament, it was resolved that instead of a constituent Assembly, a National Constitutional Conference be convened to deliberate on and adopt the Mungomba draft constitution. The process was boycotted by a number of political parties (including the current governing party, churches and civil society. The boycott was however not by all the churches and NGOs and was able to proceed even without some of them. 5. In August of 2010 the National Constitutional Conference presented its final report. The draft constitution that came out of the process sought to amend parts of the constitution while leaving intact the Bill of Rights section of the constitution in order to avoid a referendum which is required to amend chapter three of the current constitution. The draft failed to gain the necessary parliamentary majority required to amend the constitution. 6. Of all the previous drafts, the most progressive draft, and one that appears to have the most support, is that which resulted from the Mungomba Commission. It should, therefore, form the basis of the future constitution of Zambia. The approach to the making of a new constitution for Zambia must build on the past. It must be participatory and be guided by dialogue, debate, consultation and participation. Additionally, it should be guided by diversity, inclusivity, autonomy, accountability and legitimacy. The process must be empowering to civil society. It must be realized that developing an effective procedure to prevent the manipulation of a constitution making process is a considerable challenge-one that would be helped by clearly articulating the principles and mechanisms that govern the process. For example, the 1993-1996 South African constitution making process articulated a set of principles that were to guide the process. Such articulation of principles enhances the process’ quality and increases the possibility of success. The National Dialogue Bill being considered in the memorandum to the bill and in sections 1 and 3 sets out principles to guide the process and objectives of the Bill. 7. The making of a new constitution in Zambia will require a legitimate, transparent, and agreed statutory framework setting out the process, principles, mechanisms, accountability and timelines. The Bill being considered brings this in line with having a legitimate, transparent and agreed statutory framework setting out the process. The reason why the National Dialogue that the Church Mother Bodies and ZCID failed to make traction and even take off is because, amongst other reasons, that there was no statutory framework for it. The proposed Church Mother Bodies proposed dialogue process does not meet what Professors NDULO and BEYANI set out as being important requirements for success of such processes. Comparable experience shows that the process will take much longer than 90 days. A newly elected Narc Government in Kenya in 2002 had promised a new constitution within 100 days. This timeline was not met and an ill- conceived process, on which Zambia’s previous National Constitutional Conference appears to have been modeled, was initiated and failed to deliver. Devastating political consequences followed as a result in 2007/2008. In the circumstances of that crisis, a well thought out process established extensive consultations led by an independent Committee of Experts operating under a statutory framework with proper safeguard delivered a new constitution in 2010. The constitution was adopted in a referendum by an overwhelming majority. The experience of Kenya being able to lessen the time when a well thought out process was enacted so that there was a statutory framework. This is what this Bill seeks to do. 8.This time round, Zambia is well placed to avoid the type of constitutional crises that happened in Kenya in 2007/2008 by building on past constitution making processes described above with a well-managed process that should start within 90 days of the tenure of the new Government. The process in Zambia can start well before the 90 days suggested because quite a number of things which were being envisaged to be done have already taken place. In addition the executive must be commended for having so quickly brought this bill to give statutory backing to the process. The process can start with the passing of this Bill. The country is also well placed to avoid political confusion and manipulation of the constitution making process as in the case of Zimbabwe at present. There are also important lessons to learn from the failure of the immediate past National Constitutional Conference in Zambia. a. It is suggested that there should be no more review commissions to collect views of the public. The Bill also recognizes this and there will be no more review commissions. The views of Zambians on the future constitution for Zambia have been adequately canvassed through several previous commissions indicated above. There is no need to go into this again. The Bill recognizes this and it is surprising that the Church Mother Bodies in their failed Dialogue program were suggesting a lengthy three year process of going round the entire country district by district to collect views over a matter that has already has so many views gathered. In light of several previous Commissions already referred to above, what is required now is a Committee of Experts of no more than 7 persons to review the previous constitutional proposals and lead the process of making a new constitution for Zambia. This was recognized in 1991 when a Task Force was appointed to review past constitutional proposals and prepare a new constitution. Unfortunately, the Task Force had no legislative basis and it was discontinued due to political expediency and another Commission was appointed instead. The idea itself was correct, but it lacked a legislative and legitimate base to implement it. The idea now will have the legislative and legitimate base for implementation. Other proposed processes do not have this legislative legitimacy and are bound to fail. The Bill envisages the Secretariat will be small group of experts to review the past constitutional proposals and submissions made to the Ministry of Justice. 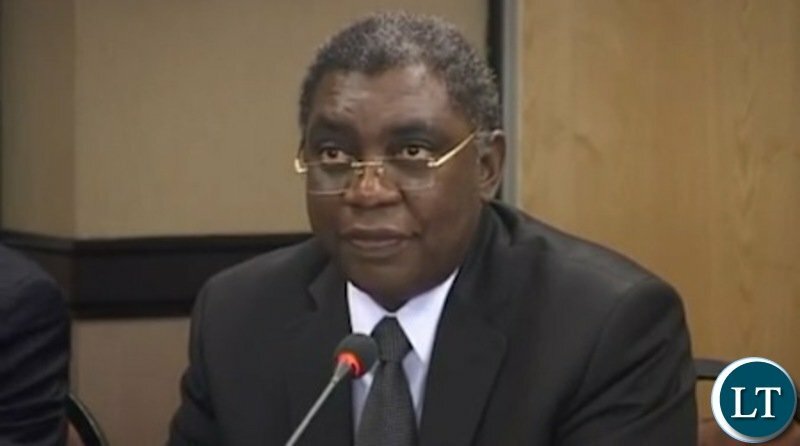 After the ten days deliberations the small group of experts will do what Professor NDULO and BEYANI envisaged. b. Members of the Committee of Experts should be persons known for their expertise in constitution making. It is desirable that the committee include two non-lawyers preferably political scientists. The committee must be representative in terms of gender and diversity. It would be useful to include 2 non Zambians on the committee. It is always useful to have the expertise of external experts to bring in comparative experience. This will help to gain a comparative understanding of constitutional practices and experiences from elsewhere. Persons who have participated in previous constitution making exercises should not be members of the Committee of Experts. The proposals set out in this paragraph can be considered when members are being appointed to the experts committee. The Committee should be appointed by the President subject to ratification by Parliament. Prospective Zambian members of the Committee of Experts should be scrutinized and vetted by a Committee of Parliament. The difficulty we have with this proposal is the time delay it will cause. c. The Committee should adopt its own rules of procedure. It should also be able to engage experts on specialized issues that need to be addressed in a constitution. One of the mandates of the Expert Committee should be to look at all past Zambia constitutions. The Committee should identify areas of agreement and disagreement. The working document of the Committee should be the Mungomba draft. As earlier pointed out this appears to be a draft that is generally accepted in Zambia as forming a good basis for a future constitution of Zambia. The Committee should come out with a draft Constitution of Zambia within a stipulated time frame. The Bill you are considering seeks to do just as suggested with the addition of the recent amendments and subsequent submissions by various stake holders. d. The draft Constitution should be submitted to a select Committee of Members of Parliament for reaction. The Parliamentary Select Committee should not be too large. It should be representative of all political parties in proportion to their representation in Parliament. The Committee of Experts should dialogue with the Parliamentary Committee on the draft. After the dialogue with the Parliamentary Committee, the Committee of Experts should come up with a draft which takes into account the dialogue with the Parliamentary select committee. All the time remembering that the basis of discussion should be the Mungomba draft. The basis should be of all the various submissions including the Mungomba Draft. It must however be taken into account that we have since had the 2016 ammendments and the three years of its operations have highlighted certain areas that need streamlining and therefore the starting point is the 2016 amendments and submissions stakeholders have made over the same. The responsibility for drafting the new constitution should remain that of the Expert Committee. The idea of a Parliamentary Select committee is to ensure parliamentary participation in the process. e. After the Parliamentary Select Committee’s reaction to the priliminary draft constitution, the Committee of Experts should come out with a final draft to be submitted to the public for public comment. The public review should be well structured and of limited duration. It should last no more than one month. Public participation at this stage increases the public’s understanding of the process. f. After the public review, the Committee of Experts should come out with a final draft Constitution to be presented to Parliament for Enactment. Subsequent to the enactment, the constitution should be submitted to a referendum for adoption. g. To avoid a prolonged process, the process must be subject to reasonable time frames which should be clearly stipulated and made known. The process and the time frames must be enacted into law. The Bill in section 14 stars out the duration of process and submission of draft bills. There is no doubt that the select committee of parliament that will be set up will call on the committee of experts to submit to it and make any clarifications and emphasizes that may be required. a. A clear and public expression of political will and commitment to making a new constitution should be made by the new Government, with process earmarked to begin within 90 days of the Government being in office; The Executive has adequately expressed this and even the tabling of the Bill is clear expression of this. b. Steps should be taken within 90 days to begin to build political and civil consensus on the desirability of a new constitution making process; The steps towards this have already been done and the Siavonga Protocol which was signed off by all major political parties is clear demonstration of this consensus. In the schedule to the Bill is a list of ninety individuals and organizations who have interacted with the Ministry of Justice over the same lending credence to the desire stated in the Siavonga a Protocol. These were undertaken from early last year and now the next steps need to be undertaken. This is inspite of the fact that there are those who do not seem to want this process to go ahead inspite of having signed off to it. Let those who want to obstruct this noble process put themselves on record as standing in the way of achieving the people’s wishes. c. Preparation and adoption by Parliament within 90 days of a statutory framework (legislation) to govern the new constitution making process. This is for reasons of legitimacy, transparency, accountability, and regulation of the process; The Bill presentation puts us well ahead of this suggestion. d. The statutory framework or Act must be designed in such a way as to guarantee success of the constitution making process. To this end, it should specify the objectives to be achieved, (the objectives are identified) establish an independent Committee of Experts as a legal body to spearhead the constitution making process, provide for the composition and functions of the Committee, lay down the principles which will govern the making of the new constitution, The principles are set out in the Bill indicate the method to be used by the Committee, specify the timelines in which key stages of the process must be accomplished, and narrate the roles of the Parliamentary Select Committee, and the Parliament. The Bill sets out the timelines and accomplishment targets. a. The Committee of Experts will review past constitutional proposals made by the Mvunga, Mwanakatwe, and Mungomba Commissions as well as the National Constitutional Conference and identify areas of consensus and areas of no consensus. The Committee will then make proposals on how to resolve issues of no consensus and apply international best practice to resolve these issues. The timeline for this would be three months. The addition to this should be the recent ammendments and the submissions made to the Ministry of Justice since then. b. A draft of the proposals made by the Committee would be released to the public, with formal and simplified versions distributed in all the Districts. The public would then have one month in which to comment on the draft proposals made by the Committee and to send their views to the Committee. The Bill in Clause 14(7) envisages this. During this period the Expert Committee should encourage seminars and workshops to improve people’s understanding of the draft constitution. The Committee would have a further two months to incorporate the views of the public into a draft constitution. The Forum may adopt this and utilise Clause 8 to regulate its own procedure. The Forum has therefore been given sufficient latitude to do as it sees fit. c. Thereafter, the draft constitution will be presented to the Parliamentary Select Committee on the Constitution. That Parliamentary Committee would have 3 weeks in which to consider the draft constitution and refer it back to the Committee. Within one month of receiving the views of the Parliamentary Select Committee, the Committee of Experts will finalize a draft constitution which will be presented to Parliament for enactment. Parliament will have 28 days in which to enact the constitution. Any amendments to the draft constitution proposed by Parliament will require an affirmative vote of 65% of the Members of Parliament present and voting in Parliament. The same vote will be required to be met if the draft constitution were to be rejected by Parliament. The new constitution will stand enacted if the dissenting vote in Parliament failed to reach the 65% threshold. d. In the event that the draft constitution is rejected by Parliament, the latter will present to the Committee of Experts one week after the expiry of 28 days the reasons for rejecting the draft constitution. Committee of Experts will within two weeks of receiving the reasons from Parliament convene a meeting with the Parliamentary Select Committee to consider those reasons and revise the draft constitution accordingly and refer it to Parliament for enactment. Parliament shall enact the draft constitution as presented within a week of receiving it. The proposals in this paragraph can be considered administratively and there is nothing preventing this in the Bill. Time within which Election Petition must be heard and determined. Who acts as President during Election Petition. Relationship between Supreme Court and Constititional Court. Administration of Public Order Act during Elections. Electoral Commission of Zambia powers to handle elections. g. If not passed by the referendum, the Committee of Experts, and the Parliamentary Select Committee, will convene a meeting chaired by the Committee of Experts within two weeks after the referendum to consider the way forward in making a new constitution for the country. The referendum does not come into play in view of the current circumstances in this Bill. We wish to comment on what the Church Mother Bodies submitted. This Bill clearly states that it is looking at the Siavonga Resolutions. It does not say that it is stopping anyone from seeking to reconcile parties or individuals. If the Church Mother Bodies are able to convince the stakeholders that they are honest and not compromised, they may take up the issues they feel have not been covered under this Bill. The Church Mother Bodies ask the question why they have not been recognised under the Bill. It is surprising that a Church should feel hurt and have a bruised ego because it is not mentioned in a Bill. All those who contributed to the process are mentioned in the schedule but the same Churches are not happy with that either. The efforts they are making in promoting reconciliation are not what is covered in this Bill. They can peruse reconciliation. They probably be able to convince people that they are well placed to do this if they start by reconciling amongst themselves. Various Churches have questioned whether the three CMBs are well placed for this. There is a saying that if you want to know how a hippo lives ask the crocodile. The Church leaders of other denominations are the crocodiles as they live in the same spiritual waters. The only one who can better tell you how a hippo lives better than a crocodile is a fellow hippo. Bishop Sydney Sichilima is a fellow hippo and he has said he was leaving the Church Mother Bodies to preserve the integrity of the UCZ. He also suggested that certain opposition parties had undue influence over the three CMBs. The hippo has told you how the other hippos live. The allegations by Bishop Sydney Sichilima in the first week of March 2019 have not been denied by the CMBs. There has been a deathly silence on their part. In law silence in the face of a serious allegations can be inferred as admission of guilt. If a man accused of killing A and B is silent, and in fact there is evidence that he killed A and C, his silence may amount to an assent to killing A and a sign that he is conscious of his guilt of killing C.
We should ask ourselves why are the CMBs silent in the face of these serious allegations? Until this issue is cleared up the CMBs have no right to seek to advance the Constitutional process. The reconciliation they seek to champion must start within their own ranks for outsiders to have confidence in them. “Thirdly, the bill does not provide a guarantee for the protection of the contents that will be generated by the proposed National Dialogue Forum (NDF), because it will be subjected to further parliamentary deliberations and scrutiny. Fourthly, we are seriously concerned with the proposed provision that all the members of parliament shall participate in the NDF deliberations and yet have undue privilege at the end of the NDF process, to alter the agreed contents…… We find this anomaly to be against the rules of natural justice, where in this case, the same people who will participate in the initial discussions will be the ones again to scrutinise the same contents (Bills). ( The reason to have them as part of the participants is so that there is buy in from them and when the Constitutional and other Bills go before the House, there will be no changes as they would have bought into the process. Apart from this, the parliamentarians are the people who represent the people of Zambia more than any other grouping or set of people. Fifthly, we are concerned, as a matter of procedure with the simultaneous handling of the constitutional refinements together with the other laws which must derive from the constitution as a supreme law. We find this to be extremely strange. The Forum will under Clause 8 decide in what Order they will look at the various laws. In anticipation of the changes to the Constitution they will then propose certain changes to subsidiary legislation. Quite a number of the provisions of the law such as the Public Order Act can be amended even without changes to the Constitution. Sixthly, learning from other jurisdictions, it is best practice, especially in constitutional making process, to put in place an independent committee of experts that would review and refine all the submissions of the NDF before they are taken to parliament for enactment. This way the constitution will avoid having inconsistencies and lacunas. Firstly, the preamble clearly suggests that there will be no changes to the Bill of Rights by way of a referendum. We feel that the bill of rights is too cardinal to leave out in this process because the Bill of Rights is essential to enjoying our rights under the constitution and every other law in Zambia. The amendments have to be done step by step. The Bill of Rights are important but to change or amend them you need to have a referendum. This is a lengthy process. An understanding of the Constitutional provisions would lead anyone with an understanding of how the various parts can be amended realise that Part Three requires a lot of things to be in place before it can be amended. There are some reports that this process is to give the current President a seven year term. The Bill provides for no such thing. We as ULP would oppose any such proposal, but glad,y we have not seen it in the Bill. We therefore fully support this Bill and feel that it is essential that all people of Good Will participate after its enactment and Pray for the successful and progressive amendments to the Constitution and Laws. Pray for success and not failure and disaster. Next articleNo Zambian has died from these recent xenophobic attacks. *17. (1)* A person commits an offence who, when required to attend before the Forum or before a committee or to produce any document or supply any information that is required by the members— (a) absents oneself from a meeting or sitting of the Forum or any committee without reasonable excuse and the permission of the Chairperson; (b) refuses or fails, without sufficient cause, to produce any document or supply any information in the person’s possession or under the person’s control and mentioned or referred to in the notice served on the person; or (c) knowingly gives false information to the members or to the members of a committee. (2) A person convicted of an offence under subsection (1) is liable to a fine not exceeding fifty thousand penalty units or to imprisonment for a term not exceeding six months, or to both. 18. (1) A person commits an offence if that person— (a) obstructs, interferes with, or hinders the appointment, swearing-in, membership or duties of a member; or (b) threatens violence against the Chairperson, a ViceChairperson, a member, the Secretary or a member of staff of the Secretariat. (2) A person convicted of an offence under subsection (1) is liable to imprisonment for a term not less than one year but not exceeding three years without the option of a fine. It would be foolish for Zambians to allow the highly partizan PF members of parliament to amend the constitution in their favour as proposed by Sikota. They went dancing at heroes and unity stadium after signing the constitution with eyes closed. Well thought and balanced submission counsel. Can you translate and explain why, how and because to our “Learned” leadership? I must remind everyone that this submission has been made by the legitimate successor to president Mazoka, the true legitimate president of upnd, Mr Sakwiba Sikota, SC. One reason why trib.al Hacks has failed so many times and will fail forever is that he stole upnd from the rightful leaders. His punishment for theft is the curse on his presidential ambitions. Just like Edigar Chagwa Lungu stole election results in 2016 – even his ‘Sangomas’ from Malawi told him so. MunaDekhane – Edgar Chagwa Lungu is President — you are free to say anything you want. WITH OR WITHOUT THIS BILL, UPND WILL STILL LOSE THE 2021 ELECTIONS. SO DO NOT BLAME THE BILL FOR YOUR IMPENDING LOSS. IT THINK IT IS A GOOD BILL AND ALL ZAMBIANS OF GOODWILL SHOULD SUPPORT IT SO THAT WE MOVE FORWARD. Can Bishop Sydney Sichilima be said to be a honest hippo? His adviser is a first cousin of Kampamba Mulenga, the PF Minister. Mr Sikota Sakwiba has plagiarised and belaboured ideals from professors Chaloka Beyani and Muna Ndulo. The noble stance Mr Sakwiba should be to emphasise and convince the PF government to engage the two professors to complete the task – they are well vested in Zambian politics. Mr Sakwiba wants to become relevant and champion a cause of constitutionalism to day, we ask where has he been Mr Sakwiba all this long when innocent Zambians have been imprisoned and released without cause, brutalised, maimed and even lost lives. Let Mr Sakwiba urge PF government through the Select Committee to engage professors Beyani and Muna Ndulo to complete the preparatory process of the Constitution making. I don’t think he’s plagiarised as he has given credit to the original authors and attributed the Intellectual Property to them… please let’s not exaggerate and misuse words. I still don’t agree with his submissions though even though they may be technically and legally sound. It’s just that you can’t trust this corrupt dictator Lungu and his minions! Go write your own paper and not copy from these esteemed professors. Your comments are just hanging on to their knowledge. Let Lungu call them for expert advice. Your paper is second hand. Makes a lot of sense.Why did the UPND kick out this sober politician? So off from the pain of masses.Your people are loosing jobs daily through retirements in national and public interests,tribal biased recruitments,drought and hunger and all we see is unending political fights.I wish for once this man could fight a truly noble issue such as this pending hunger.Simasiku Namakando fought for kalabo Mongu road and he rests in peace in eternity.What shall we remember you for sir? just a spoiler? The constitution court must not be a stand alone court but must be part of the supreme court (Tribunal) appointed by the chief justice at a given time to preside over Constitutional matters. Eligible appointees must be of high court judge (retired or serving) level or above . I can smell a rat, Saki is already bought by the PF. How come from the blues he is commenting on this process?? It seems they have already cooked something and from this trickery conduct, I sense that ECL might appoint him to lead the process. I agree with my colleagues who proposes the two Zambian experts to lead the process. Saki is a suspect. Sorry Mr Sikota. The experience we have in Zambia is that constitutions and the law is outrightly flouted by those in power. The problem is not that we have a bad constitution. Even that bad constitution is not respected. Examples abound. So for me this country is embarking again on a money wasting exercise. And why are you attacking the Church Mother Bodies? Everyone should have a right to voice their misgivings on the issue. My worry is moral integrity in our politics and with the current crop of people around I see none. Fun that Saki is toiling the propaganda machine for PF… they must have oiled his hands for him to spend this much effort to try and convince everyone Lungu and his minions in parliament mean any good and have the interests of Zambians at heart other than their own. The truth is Lungu wants to perpetuate his stay in power and make himself life president Wamuyayaya! Glad he’s acknowledged and credited the scholarly work of Professor Muna Ndulo and his colleague. But I’m a little confused: is the issue about national dialogue or amending the constitution – are they one and the same? Someone school me please! Acknowledging the authors of Saki documents is fair comment but read it with an astitude import to break the dice. I invite you to the original document of professor Beyani and Muna Ndulo to understand the quest of Sakwiba Sikota in his writing. I still contend, Saki plagiarised the document for personal grandiosity. Sakwiba Sikota is still irrelevant to Zambian politics not withstanding his eminence as a lawyer, because he has chosen greed before service to Zambian people. Mwenechanya and Corrupt Scandals, possibly all those who always assume that anyone supporting a Bill presented to Parliament has been bought by the ruling party. After reading through the ULP submission, I feel there is nothing wrong with making reference to what professor Ndulo has said in the past and the is what is contained in the Bill. Some of you have politicized the bill, that’s why you cant see any good in what people like Sakwiba Sikota has presented and his United Liberal Party has presented.